Lisa has held numerous senior executive positions in a 30-year career that has included public sector, corporation, association, and nonprofit work. She offers her clients an extensive knowledge of insurance and financial services regulations, real estate, and emergency management. Lisa and the team are passionately devoted to advocating for sound public policy and helping business clients achieve their goals through powerful engagement. As a former deputy insurance commissioner, Lisa represents and advises property insurance companies representing 25% of Florida’s six million personal and commercial residential policies. She served as lead advisor to Florida’s Property and Casualty Insurance Fraud Task Force and serves as regulatory consultant to investors who are entering Florida’s insurance market. Lisa served for 10 years as the exclusive insurance lobbyist and technical consultant for the Florida Realtors association with 140,000 members in all Florida counties. 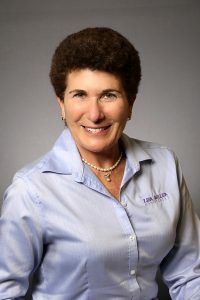 Lisa began her career in 1982 with the Florida Department of Revenue and later as the Executive Director of the American Society of Notaries where she doubled the organization’s membership and grew the budget from $200,000 to $1 million in less than five years. She later served as Director of Corporate Relations and Business Development for an Ernst and Young-owned strategic municipal securities disclosure organization. In 2003, she re-joined state government to serve as Deputy Commissioner for the Office of Insurance Regulation and its Chief Lobbyist and was later promoted to Chief of Staff at the Department of Financial Services (DFS), the agency that oversees Florida’s broad insurance and banking industries. Later as DFS Deputy Chief Financial Officer, Lisa led the My Safe Florida Home program, a $250 million legislative initiative to encourage Floridians to strengthen their homes against hurricanes. Lisa has served on numerous panels and commissions including the Governor’s Property Insurance Reform Committee, and the Medical Malpractice Professional Claims Liability Reporting System Task Force. She currently serves as the Governor’s appointment to the Apalachee Regional Planning Council, which provides technical assistance in economic development, emergency planning, transportation, and quality of life to meet the needs of local governments in the nine-county region. Lisa also serves on the Board of the Florida Corrections Foundation, which supports our state’s correctional officers through employee assistance programs. She frequently presents at trade association meetings, corporate symposiums and insurance industry conferences on the state of the Florida insurance market as well as legislative and regulatory trends. Lisa grew up in Plant City and attended Florida State University where she earned a bachelor’s degree in Business Management and a master’s degree in Public Administration. She is also a Certified Public Manager. She is married with one son. When she’s not in the office, Lisa serves as a mentor to college graduates and volunteers her time with charities ranging from those battling cancer to those promoting educational excellence. LMA Gives!